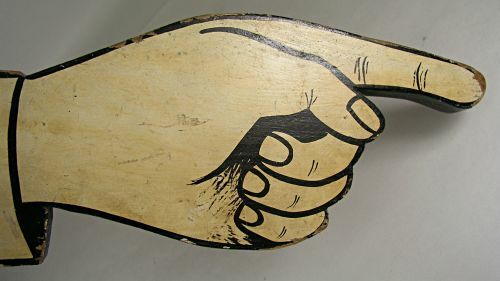 Office sign with pointing hand. Originally had two wooden rods on bottom and could have been part of a larger sign. Dimensions: Measures 23" long by 3/4" thick.